Happy trails to our favourite greater one-horned rhinoceros, Sabari. Although he’s been with us at the Calgary Zoo for several years, it’s time for him to go on a new adventure! Sabari will be departing this fall, and while everyone here loves this friendly giant and will be sad to see him go, we are excited for him to continue as a great ambassador for his species. We here at the Calgary Zoo have been so fortunate to care for Sabari. Greater one-horned rhinoceros are incredibly vulnerable to poaching, which tragically is a growing issue for rhinos all over the globe. By caring for species like rhinos in zoos, we can help to protect them from global extinction. Sabari, the zoo’s one-horned rhinoceros. 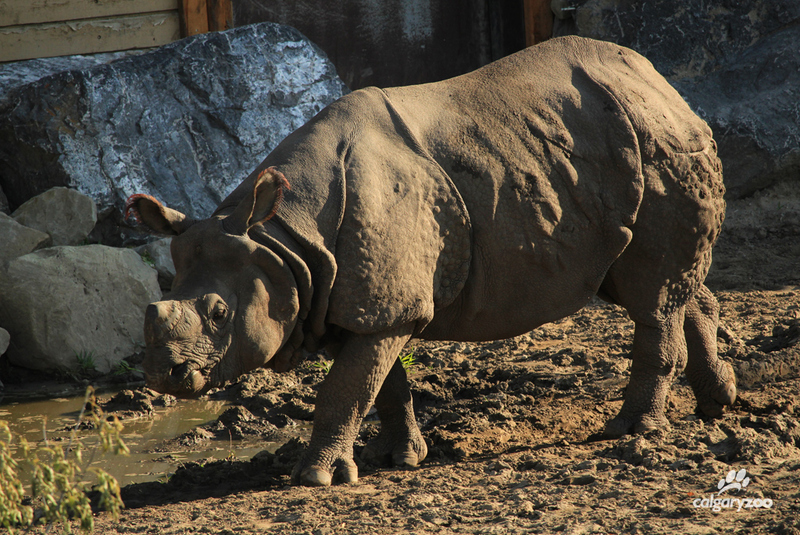 Rhinos are solitary in nature, so Sabari has had free roam of his habitat. As one of roughly 3,000 endangered species of rhino, he is an important member of the Association of Zoos and Aquariums (AZA) Species Survival Plan, or SSP, which helps provide breeding recommendations for different rhinos. Think of it as an online dating service… for rhinoceros! Programs like the SSP ensure healthy genetic diversity and breeding standards, and their presence allows for zoos to raise the profile of their plight in the wild. This wonderful rhino has not only captured the hearts of zoo keepers and visitors during his time in Calgary, but also has been an incredible force for educating the public on the importance of conservation. Sabari’s presence has inspired zoo fans to learn more about at-risk species, and has made an impact on how they can make a difference to conservation in their daily lives. Learning about personal impact can help shape the new generation of leaders, and inspire them to reverse the decline in wildlife – at home in Canada and around the world. If rhino fans want to say a more personal goodbye to Sabari, behind-the-scenes experiences will still be offered until August 21. Don’t forget to book before the final spots are filled- he’s a popular guy! Giant pandas will be coming to the Calgary Zoo in 2018! 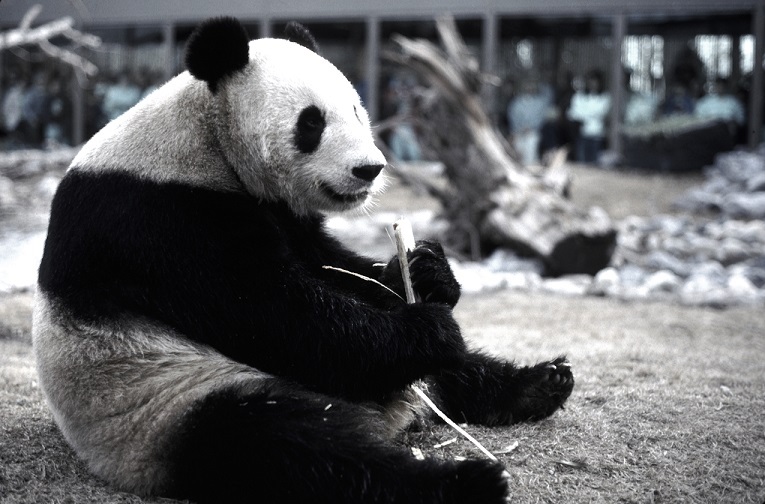 The last time we hosted pandas was in 1988. It’s not all sad news! Although our favourite rhino is leaving us, we are thrilled to be welcoming a family of giant pandas from the Toronto Zoo. They will be staying with us for five years, and during that time they will introduce Calgarians and zoo visitors to the wonder of these iconic endangered species and the threats they face in the wild.